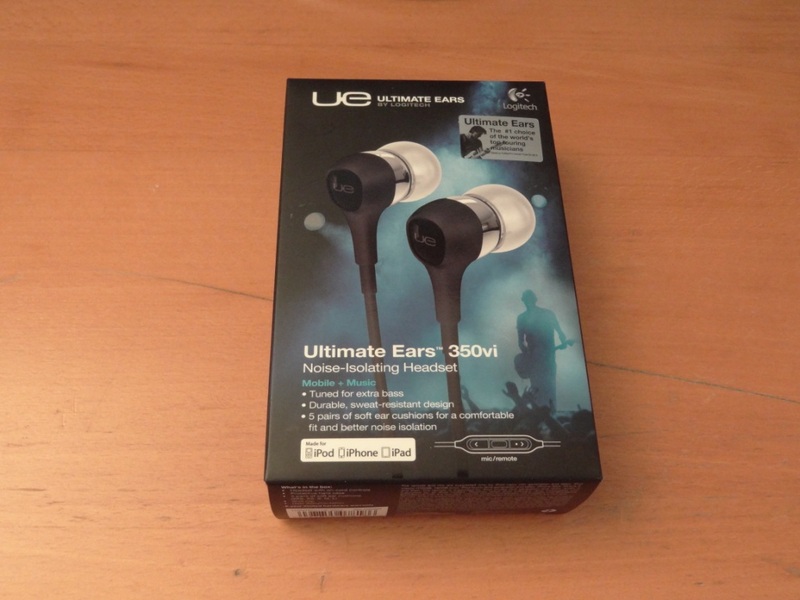 First of all I would like to thank Ultimate Ears for sending me out the UE350vi’s to review. Despite me having only android/PC devices, I received the iPhone version of these. 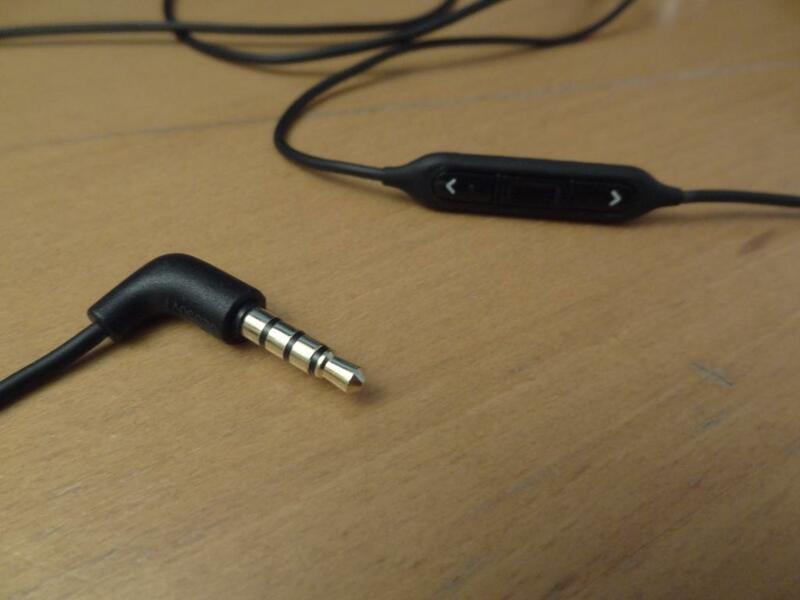 Which was slightly frustrating, as UE have both the non-mic version, and the Android version of the UE350’s. They all fall under the same price bracket too – so I was disappointed in that respect for receiving the one, out of the 3, that wouldn’t work properly. That said, I listen to my music via my Digizoid ZO2 amp, which bypasses the mic functionalities, but more so, my Samsung Galaxy S III accepted the connection, without problem, although none of the controls were working. That said, when I put the 350vi’s on my S1, the sound is “lost”, and by that I mean, the S1 doesn’t bypass the mic functionalities, and has problems with the earphones. The packaging of the UE350vi’s is very nice. For a product that only costs £40, I feel the packaging could even fit into a product that’s worth at least double its price. I should also add that it isn’t over-the-top like their older brothers, the UE MetroFi 220’s or the SuperFi 4’s. The accessories provided are very standard. Although I should point out, that you get a nice selection of silicone tips; 5 pairs of tips to be precise, which is nice to see in even a cheaper set of earphones. That said, when compared to the EX510’s which sit at around the same price, Sony, went to a greater length with their accessories provided. In terms of the case, I quite liked how small and compact it was, and more so a huge step-up in quality over their older designs. The only thing I didn’t really like of it, was the dull grey colour it was, I would have preferred a solid black colour. However the biggest complaint here was the purple innards of the case. I’m not one that really cares that much about colours and looks, but I would have preferred a different colour. Put bluntly, purple is a very girly colour. There was also a shirt clip included. Overall, I was very much satisfied with the overall package provided by UE. The nice array of tips provided, alongside with a nice small case, for carrying the UE350vi’s around; even though the colour isn’t very appealing for us men. The build quality of the UE350vi’s is very good. At first I felt the wire was too thin, and would get tangled very easily, however since using them daily, I found that the wire never got tangled, and if ever it did, it got untangled very easily. 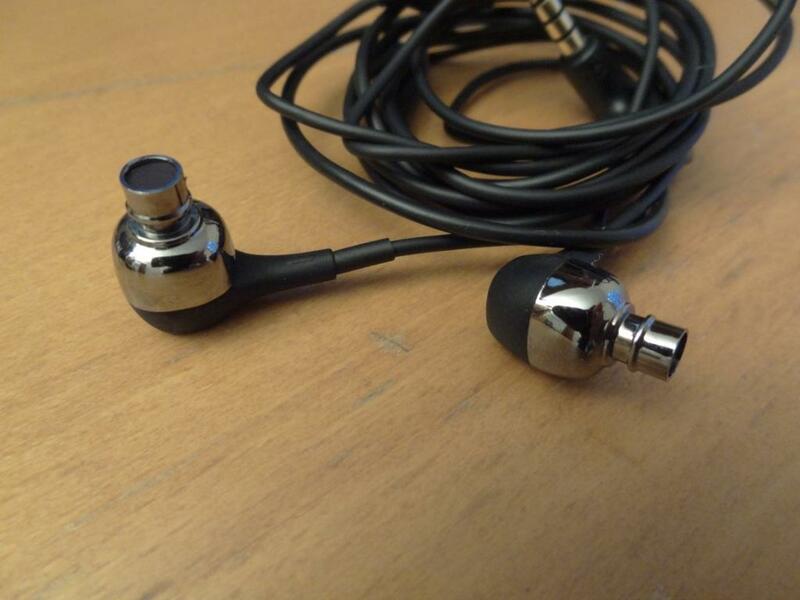 The jack is terminated by a right angled, gold plated, 3.5mm jack, and the wire is of perfect length. One thing I did note when I first unboxed them, is how light they were; despite their look, which makes it seem as they would be weighing down your ears. As for the actual build quality of the housing, they seem to be well made, and will survive quite a few knocks. The only complaint I had of the UE350vi’s was their lack of “cable management” by the splitter fro left and right earphone channels. I can’t comment however on the normal version, which comes without a mic, as there might be a lack of cable management present on the mic versions, due to the mic being in the way. 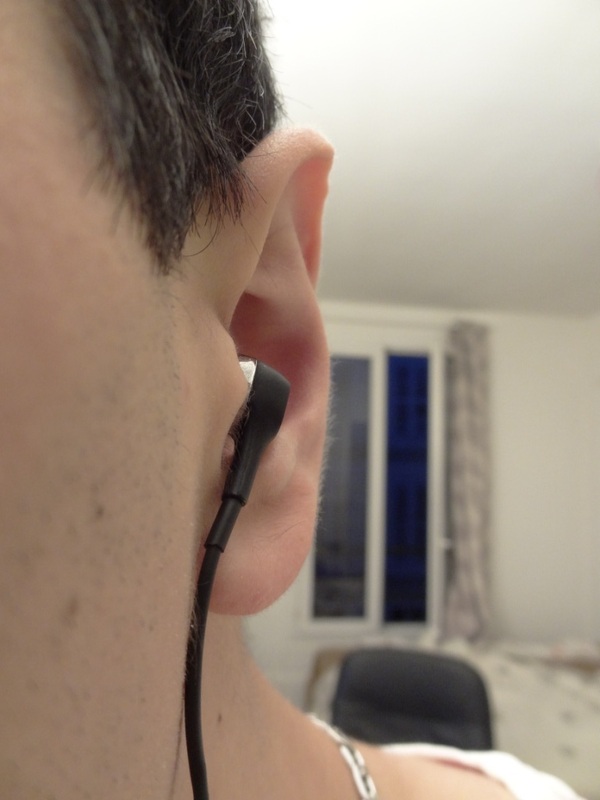 Finally, the microphonics, I found were a little present when the earphones were worn straight down, and I feel this was mainly due to the mic, on the right side. 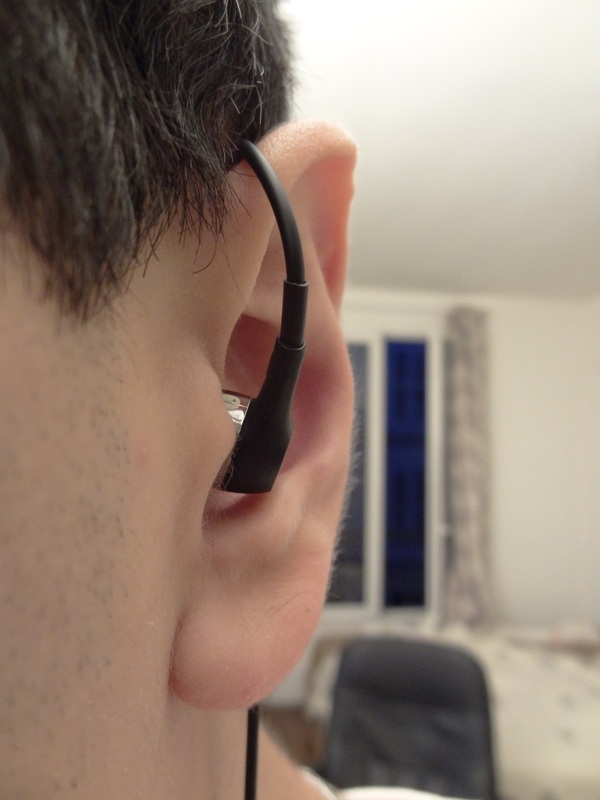 That said, when worn over-the-ear, the microphonics become none existent. I thus wore them over-the-ear most of the time. Their look, really reminded me of the MetroFi 220’s, but like a more well built, robust, and better looking older brother. The UE350vi’s really do look nice, especially with their metal-esk finish. One thing I do miss however, from the MetroFi 220’s, was the left and right indicator, denoted by colour on the housing. Regardless, their look is very nice, and I really do like their overall finish! Their isolation is good, although, due to their small-ish housing, the earphones aren’t totally isolated. Both when you wear them over-the-ear and straight down. More so, the UE350vi’s have a vent at the very back, which undoubtedly is for the dynamic driver to get that extra air for the bass response. This in itself, doesn’t help isolation either. 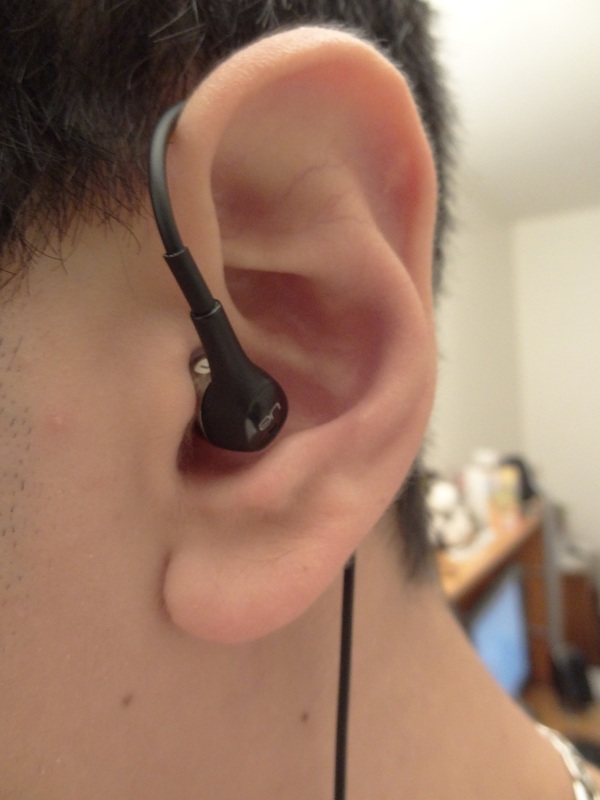 The comfort is great, due to them being light, small, and comfortable, the earphones sit in your ears very nicely. 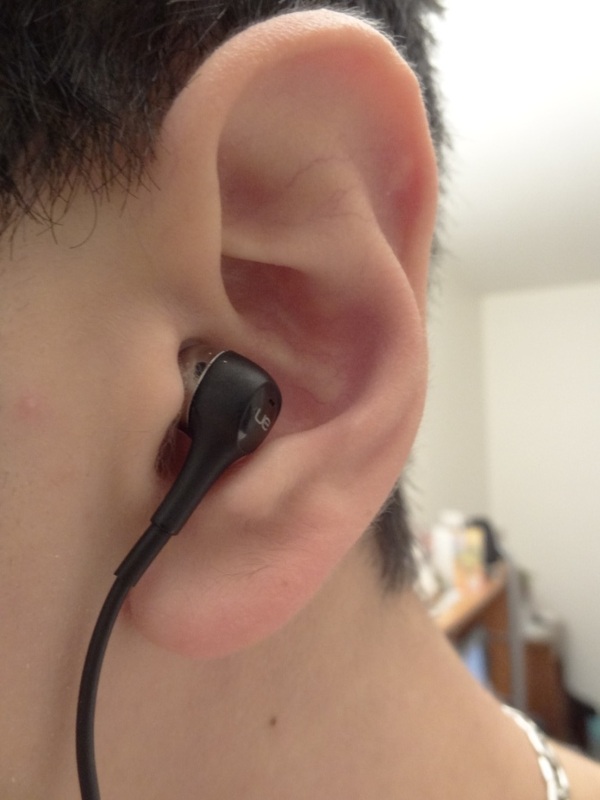 I wore these over-the-ear, and never felt that they were uncomfortable at any given time. I was thus quite happy with the comfort, that the UE 350vi’s offered. The sound quality, is what makes the UE350vi, truly special. 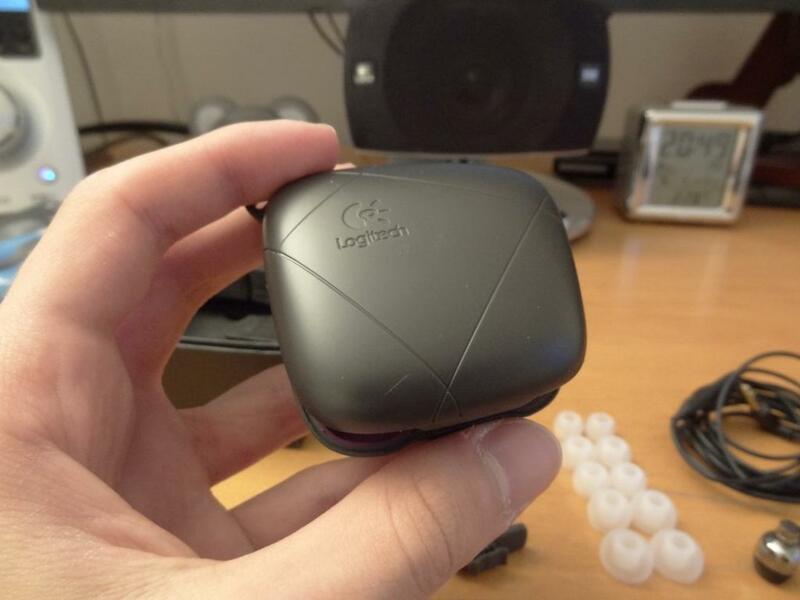 I had high expectations, after my great experience with the UE220’s, I expected a similar sound. Boy did I get it, The 350vi’s were a clear upgraded/updated version of the 220’s. The mids, were much more up-front, the bass was still strong in presence, the highs weren’t as rolled off, however the soundstage stayed the same. The sound quality of the UE350vi’s impressed me quite a lot, especially for earphones that are under £40. One of the biggest strengths the UE220’s, their younger, and older brothers had. The UE350vi’s keep up that reign, and presence of a powerful mid-bass, with a nice, but not too extended sub-bass response. I feel the lows on the UE350vi’s are indeed a little rolled off, and by that I mean there isn’t that type of deep extension. 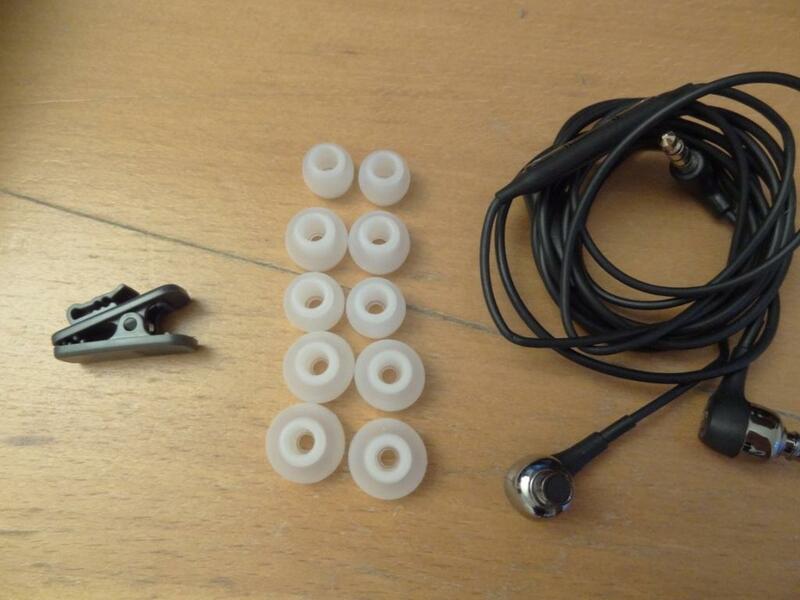 That said, for earphones that are priced at around £40, it’s outstanding to get such a quality and quantity of bass. Don’t get me wrong however, the bass isn’t overpowering; just present. Now the mids and highs, normally of a bassy set of earphones, would normally denote a lack of mids. The UE350vi’s surprised me by having almost up-front mids. The mids are quite clear, and when compared to the Sony EX510’s, I felt that the mids were more “rough” on the UE350’s vs the smoother textured mids of the Sony EX510’s. The mids thus aren’t compromised for the nice mid-bass response, and more so, are nice and up-front. The highs are its weakest frequency. The highs, although very nice, and well extended, are at times rolled off. You can hear it in certain songs, that the highs don’t go to that extent and “finish what it started”. 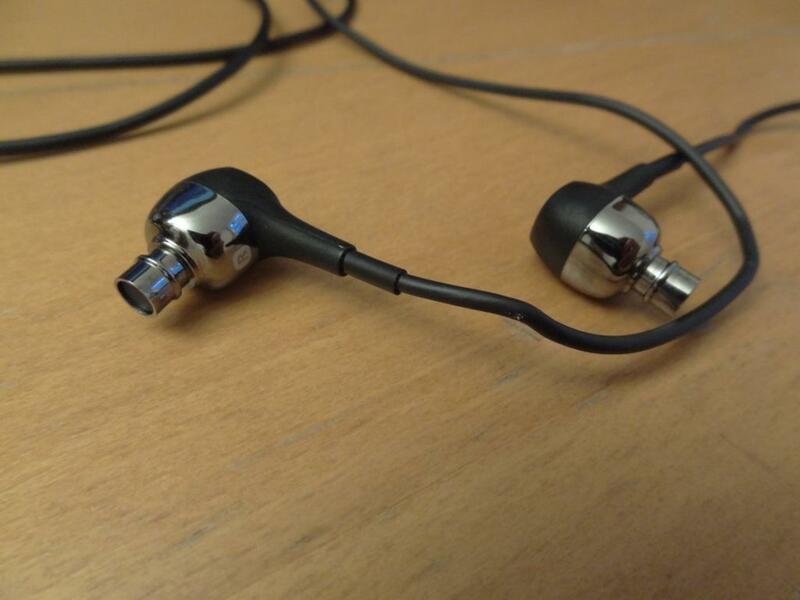 That said, again each time looking at the price, I think the UE350vi’s are more expensive earphones. I have to keep reminding myself that these are only £40. The soundstage, isn’t wide or deep. It is very directional, and has a narrow-esk presentation. Thus, again when comparing it to the Sony EX510’s I felt the EX510’s had some “extra room” within them. The soundstage reminded me of the UE220’s, which had a similar closed-type soundstage. Overall, the UE350vi’s are an amazing set of earphones. It’s beyond me what Ultimate Ears have done to these relatively cheap earphones, but these are, to me, worth more than their price tag suggests. Their overall presentation, accessories, and more so, their actual sound quality makes me wonder how good other, more expensive earphones in the UE range must sound. More so, I like how Logitech have all three versions, for iPhone’s, Android’s and normal non-mic’ed up versions. This is great and useful for the whole demographic. 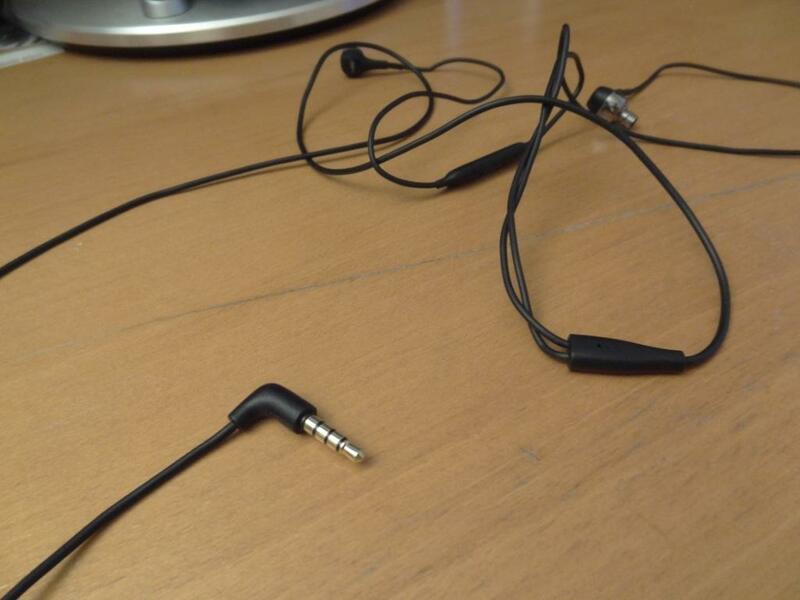 All-in-all, I will be suggesting the UE350’s to people who are looking for a £50, or under, set of earphones. Simply outstanding value, and sound quality from these. 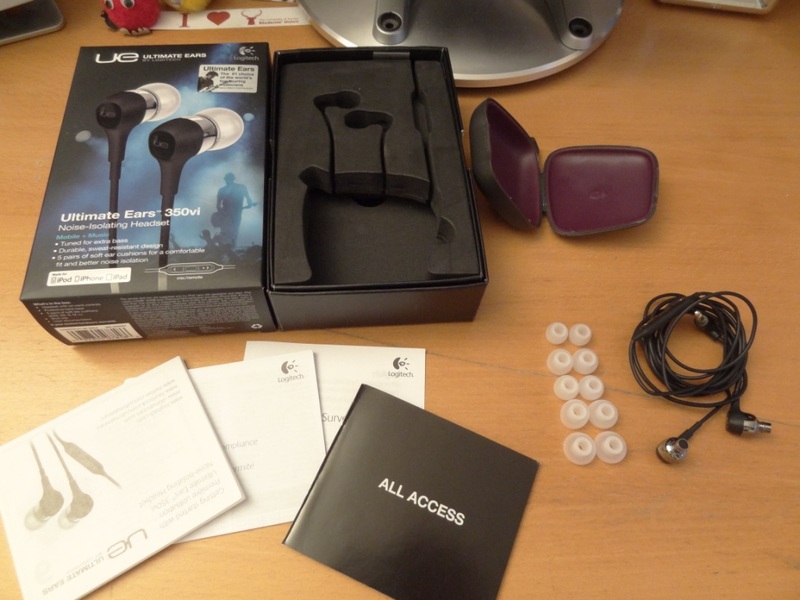 This entry was posted in Audio Reviews and tagged 350vi, Ears, Logitech, Review, UE350, Ultimate on July 18, 2012 by TotallydubbedHD. Is the score for Audio Quality in relation to the price or do you fel they are on the same level as IE8? This is in relation to the price. Although i felt the ie8 were rip offs! Have you listened to any of Soundmagic E10, Vsonic GR06, Audio Technica CKM300/500, JVC FXD40/60/70/80 and can do a comparison? Hi, do you know if the 350vm control buttons and volume work with the Galaxys S3? The vi’s one work partially with the S3. Enjoyed your in depth review, and after that I have decided to buy it. Thanks a lot for helping me to make this decision. This earphone was one sale but I wasn’t too sure if it was worth the price but your review cleared that up. Thanks a lot. My only concern is that the ones that are in stock are for the Apple products. (remote and mic supported). Damn !!. Would’ve been great if it worked with my Galaxy S4. It does work to some extent! Mic should work and so should play/pause – but anything else won’t work. Glad you liked my review :)! 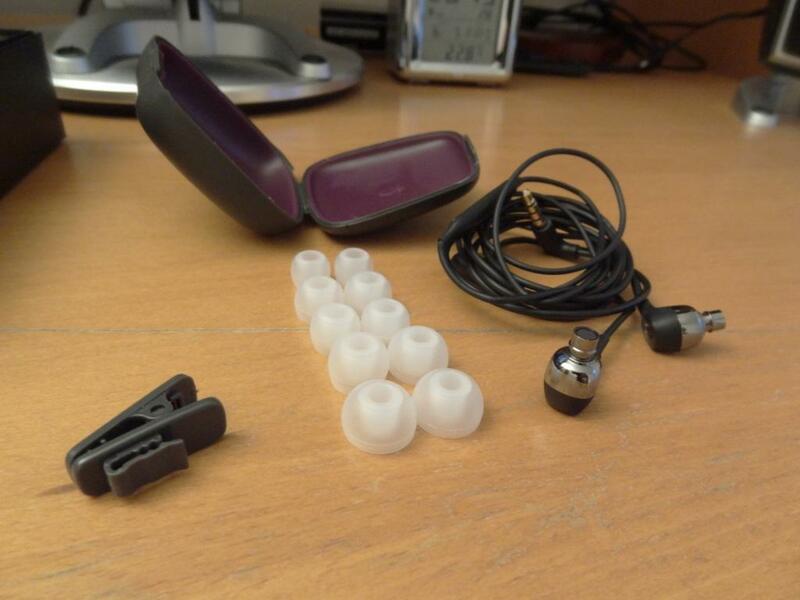 Will the ears which are made for iPhone/iPod work with anything like Philips, or will it only work for Apple products? Hope that helps, and glad you liked the review!